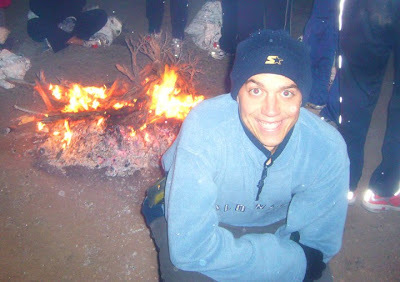 Butch Cassidy 10k: November 7, 2009. 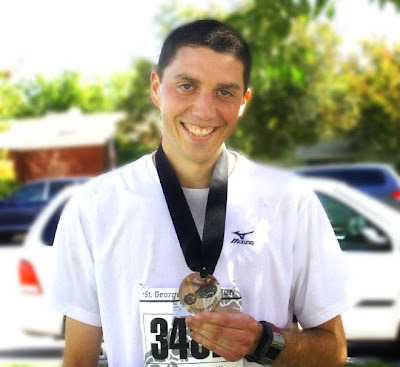 Our friend and Boston runner Tom is involved in planning this race in Springdale near Zion National Park. I'm really excited for this one. Painter's Half-Marathon: January 23, 2010. 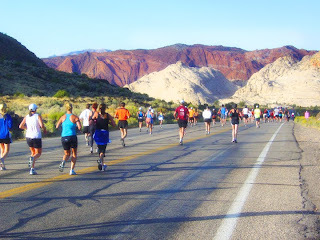 I haven't done this race before, but I hear it's a beautiful course on the trails along the river in St. George. 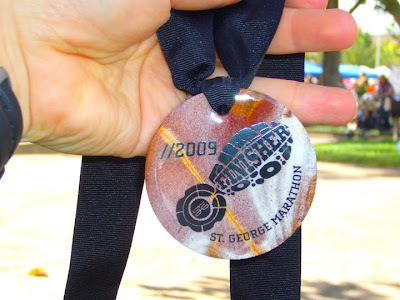 Hurricane Half-Marathon: April 24, 2010. Rumor has it they may be changing the course this year. Hmmm. 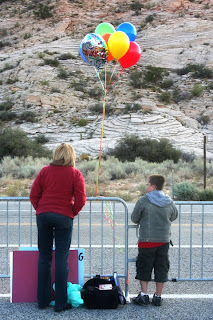 OGDEN MARATHON: May 15, 2010! 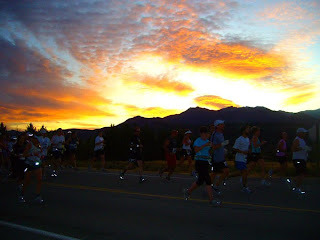 I'm itching to do another marathon to try and get a better time. This seemed like a perfect race between now and next year's St. George Marathon. They have a full and half marathon. If all goes as planned, I'll shoot for the 26.2. What I'm most excited about with this run is who will be joining me. 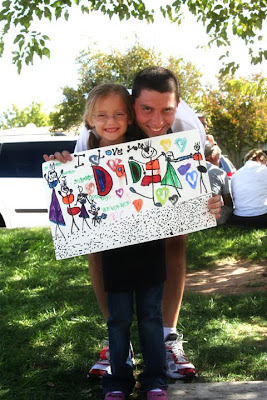 Mel will be running the half-marathon along with my sister Hollie and brother-in-law Kelly! I think it would be a blast to have a big group of friends, family, rookie runners, and running pros all get together for this one. You know, running 26.2 miles in a marathon was really, really hard. The pain was excruciating. But lately I've been thinking about how sometimes life can be really, really hard too. Sometimes the pain is excruciating. I think many people are in the midst of running their own personal marathon. The little girl at school who gets teased by the boys and doesn't have any friends. The dad who isn't able to sleep at night because he lost his job and doesn't know how he is going to put food on the table for his family. The mom who feels like she is being swallowed by depression and can't seem to break free. 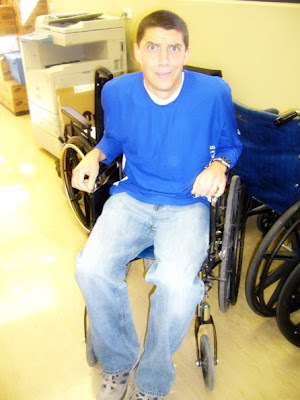 The man who has failing health and is tormented by constant pain. Seeing these struggles makes my heart hurt. 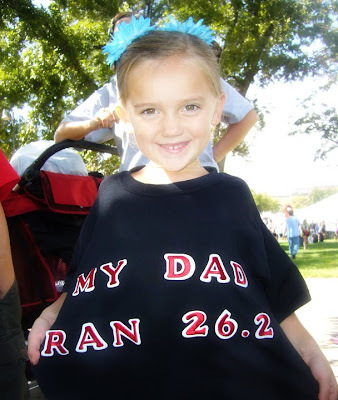 I think our own daily marathons are much more difficult than running 26.2 miles. 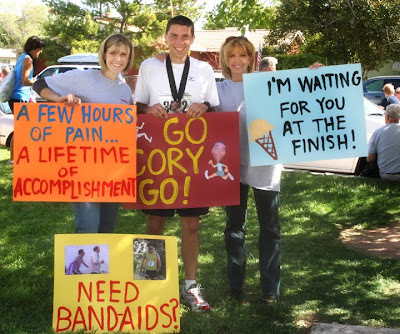 In a real marathon, crowds line the street and cheer you on. When you feel like you can't put one foot in front of the other, the cheering gives you strength. But most of the challenges in life are quiet, inward, personal battles. We don't have screaming crowds to get us through. In an actual marathon, you know where the finish line is. But in our life challenges, often we don't know how much farther until the finish line. Sometimes we're not even sure there is a finish line. 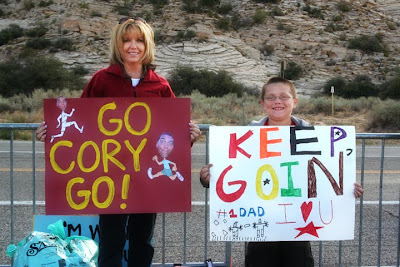 While I was running the race, I could feel the love and support from my family. It helped keep me going. I have to think that God is watching from the sidelines, loving and supporting us too. When life gets hard, I have to believe that God will give us the strength we need to get us to the finish line. 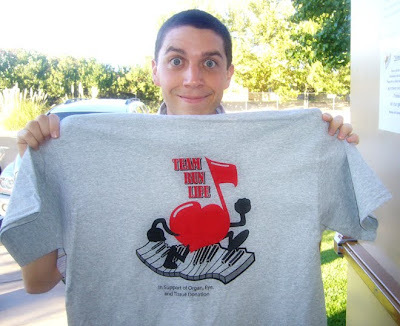 He knows us and will be with us as we run our daily marathons. I don't know what mile of the marathon I was at. It was far enough that my brain had stopped functioning and my legs were in complete revolt. I was not aware of anything around me except for how bad my legs were hurting. I know there must have been other runners around me but it felt like I was the only one on the road. My music was playing loud in my ears but I don't remember hearing a thing. Then something strange happened. I was on the top of a hill just starting to descend. It was a steep hill. 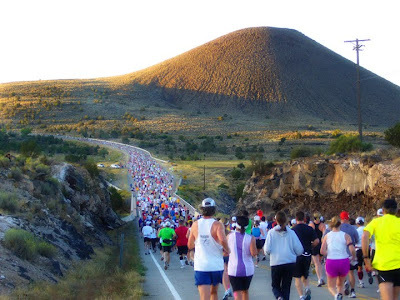 I looked down and saw lots of other runners toward the bottom of the hill. What I couldn't understand was why everyone was running up the hill toward me. They looked like ants scampering up the road. I thought someone must have gotten hurt behind me and they were running up to help. After a minute I realized.....they weren't running up the hill. They were trotting along the marathon course just like I was. Looking back on the situation now, I'm sure that I was right in the thick of "hitting the wall". I remembered this experience after reading THIS ARTICLE today. In the story, one guy said that during a triathlon he saw little purple people along the cliffs. He knew this was a hallucination but he stopped anyway to look at them. 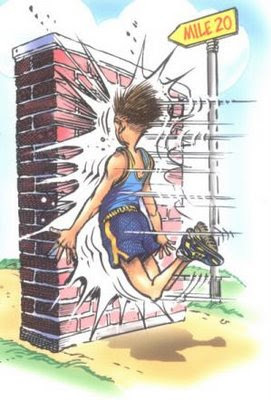 What have you experienced when you "hit the wall"? 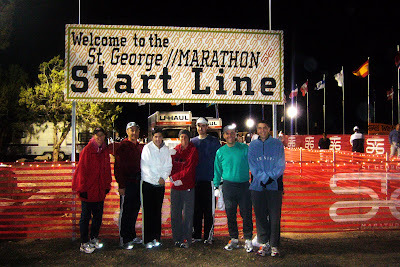 Two days have passed since the St. George Marathon. Holy Tylenol - my legs are sore. Judging by the way I move up and down stairs, you'd think a gang of thugs made me their pinata. Today I was tempted to steal one of the many wheelchairs available at my work. I posted this hilarious video a few months ago but it bears repeating. Have you ever wanted to know what your legs feel like after a marathon? I can attest that there is absolutely no exagerating in this clip. I went to the marathon expo today to pick up my packet and race number. The Dixie Center was PACKED. I truly felt like a kid in a candy shop. At one point as I was walking down an aisle it hit me. Oh. My. Gosh. I am running a marathon IN THE MORNING. And all these crazy freaks around me are doing the same thing. I got goosebumps. The speaker at the First Timers Clinic gave a helpful tip for the clothing retrieval location at the finish line: "if you get to the finish line quicker you can usually find some pretty good stuff!" We had some special guests at the dinner. Paul Cardall's parents came to thank the runners on the team. 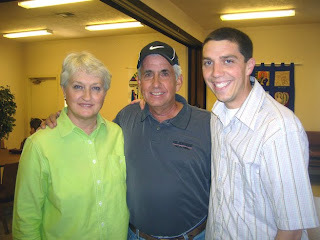 Here is a picture of me with his parents. It was fun to talk with Duane about his marathon experiences and the documentary that was filmed of his first marathon. Allow me to make a disclaimer that the full marathon report may not be posted until Sunday. It is likely that I will spend the rest of the day tomorrow in my bed whimpering. 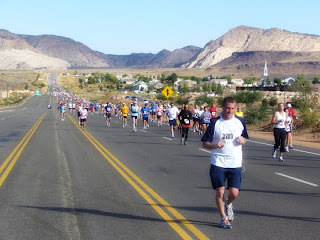 St. George Marathon.......here I come! 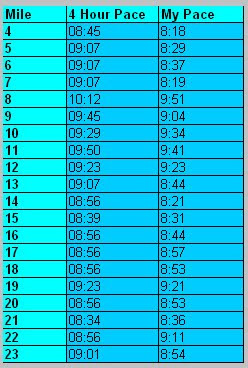 I have decided on a goal time for the St. George Marathon.......4 hours. 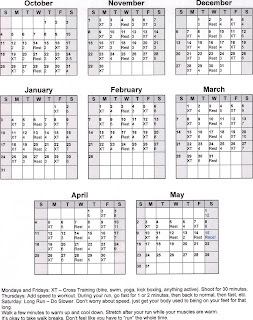 Things will have to go nearly perfect to make this happen based on my recent training times, but I think I can do it. I feel optimistic because of my farthest long run around three weeks ago. The 20 miler on the course route went extraordinary and it was one of few times where much of the run felt effortless. I keep telling myself that this is how I'll feel during the marathon. We'll see. I wonder what it's going to feel like to "hit the wall". Every runner dreads this point where the body simply runs out of gas and you feel like you can't go one more step. 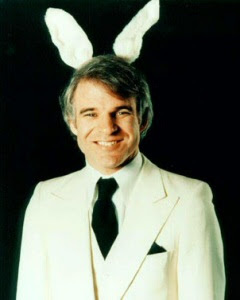 I hope that when I hit the wall I start hallucinating and see Steve Martin show up to carry me the rest of the way.